Take the #CowboyBebopChallenge and Buy a Concert Ticket for a Local Student! Ten years ago this month, back when I was a full-time magazine editor, I had the pleasure of witnessing the birth of a dream in real time. Become a Sponsor of Our Cowboy Bebop Concert This Fall! On Sept. 29, 2018, Her Royal Airship Ashanti and Midwest Black Speculative Fiction Alliance are joining forces to celebrate the 20th anniversary of the classic anime Cowboy Bebop and we want you to be part of the action! We’re uniting the nerd and geek communities for a tribute jazz concert to the show’s music…and more importantly, to raise money for a great cause! 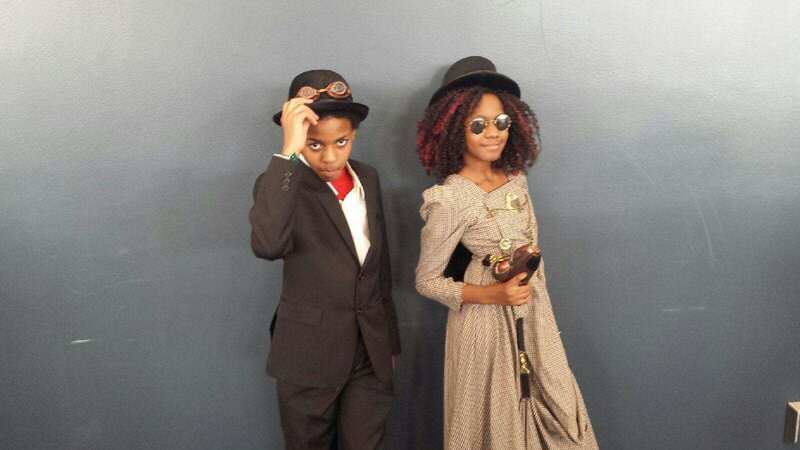 When Mandisa Njeri and Mirabella von Dueling of Airship Ashanti walked up to WordPlay’s doors, the kids in attendance at Midwest BSFA’s steampunk character building workshop shouted, “Pirates! Pirates are coming!” That was the beginning of this awesome program featuring a fun lesson on steam technology and brainstorming steampunk names and back stories. 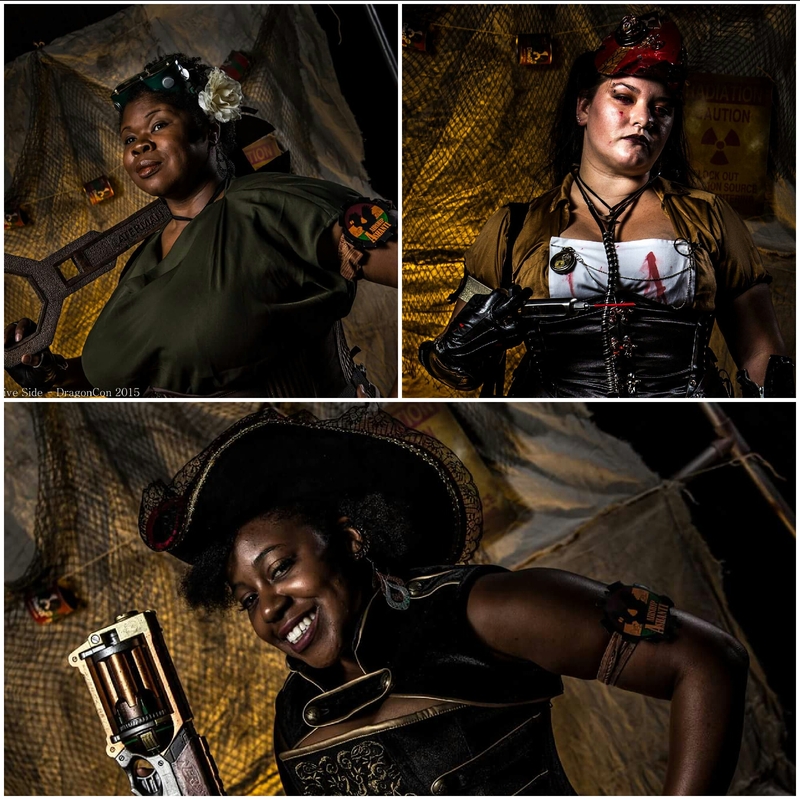 Meet the ladies of Airship Ashanti at the Midwest BSFA’s steampunk character building workshop on Nov. 21! They will help kids create steampunk characters as part of WordPlay’s monthly Science Fiction Saturdays event. Be there! Steampunk Character Building Workshop at WordPlay Creative Writing Center! 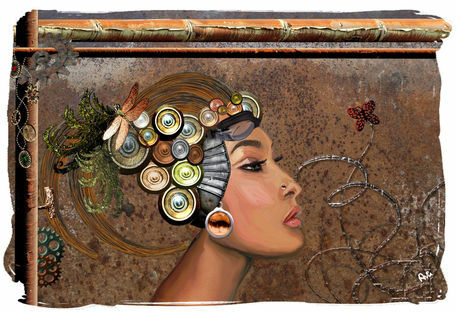 Think steampunk is just for adults? Think again! Kids can get into steampunk, too! Ofeibea Loveless of Airship Ashanti and the Midwest Black Speculative Fiction Alliance will lead a steampunk character building workshop as part of WordPlay‘s Science Fiction Saturdays on Nov. 21! Students — 6 and up — will learn about steam technology and then work in groups to create narratives for their steampunk characters! Saturday, Nov. 21, noon to 2 p.m., WordPlay Creative Writing Center, 4041 Hamilton Ave., Cincinnati, OH 45223 (Northside). No cost. For more information, contact WordPlay at 513-541-0930 or info@wordplaycincy.org.